In the 2011 Baseball Hall of Fame vote four candidates--Roberto Alomar, Bert Blyleven, Barry Larkin, and Jack Morris--each accumulated 50% or more of the vote with Alomar (90%) and Blyleven (79.7%) tallying the required 75% for election and Larkin (62.1%) and Morris (53.5%) coming next closest. In 2011, the average Hall of Fame voter cast about six votes per ballot, so with the election of Alomar and Blyleven, many voters may look down the ballot and reconsider some holdovers they have previously overlooked. Two holdovers who definitely deserve a second look are "Crime Dog" Fred McGriff and Tim "Rock" Raines. Excellence--hit 31 to 37 home runs each year from 1988 to 1994 and was in the top 4 in his respective league, leading the AL in 1989 and NL in 1992. 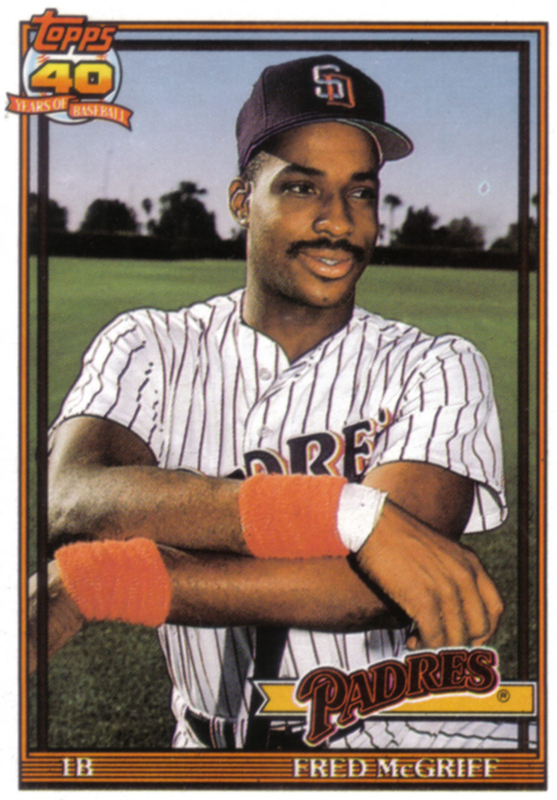 Was a key figure in one of the most memorable Division races when he helped the 1993 Atlanta Braves go 51-17 and come from nine games back to overtake the San Francisco Giants for the NL West Division title after acquiring him from the San Diego Padres in late July. Milestones--493 home runs and 2,490 hits, just shy of 500 and 2,500, totals he would have most certainly eclipsed had it not been for the 1994 baseball strike. 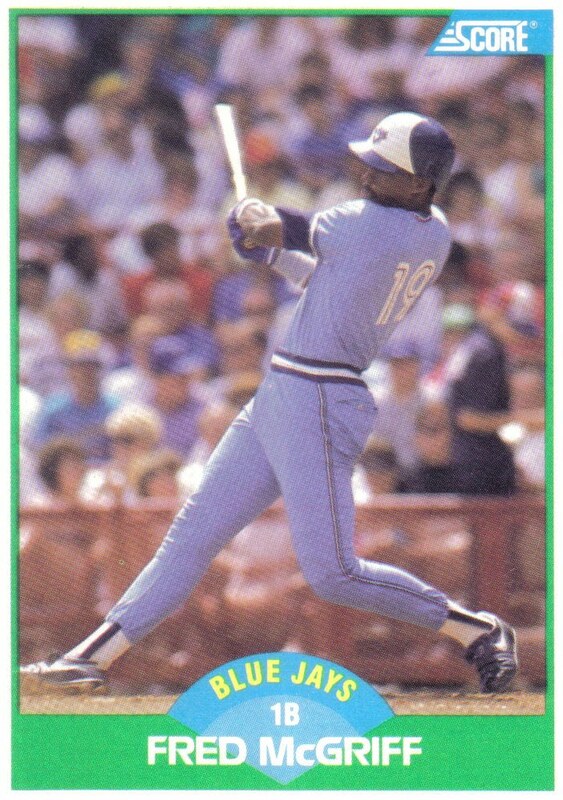 McGriff also drove in 1,550 runs in his career and had an excellent 134 career adjusted OPS+. Consistency--hit 19 or more home runs each year from 1987-2002 including 30 or more ten times during that stretch. Though no longer a perennial MVP candidate following the 1994 season, McGriff was still a very productive player averaging 27 HR, 99 RBI, .288 BA, .371 OBP, and a 121 adjusted OPS+ from 1995-2002. Longevity/Durability--appeared in 2239 games at first base, third all-time behind Hall of Famers Eddie Murray and Jake Beckley, thus preventing his team from having to use a replacement-level bench player in his place. In addition, the 2003 season was the only year he spent time on the disabled list. As we all know, Bonds, McGwire, and Palmeiro have all faced PED allegations which have doomed or at the very least complicated their Hall of Fame candidacies. Conversely, McGriff's reputation has remained intact but due to playing the second half of his career in what has become known as the Steroid Era his impressive career accomplishments are being overlooked by the Hall of Fame voters. Excellence--finished career with 808 stolen bases, good for 5th most all-time. His 84.7 stolen base percentage is better than Hall of Fame base stealers Henderson (80.8) and Lou Brock (75.3). Additionally, he stole 70 or more bases six years in a row, from 1981 to 1986, and was the NL league leader each year from 1981 to 1984. Also, Raines wasn't just a base stealer, he was a good overall hitter who led the league in other categories such as runs scored, doubles, batting average, and on base percentage. "Rock" finished his career with a 123 adjusted OPS+--a very high total for a leadoff hitter, along with a .294 career BA and .385 career OBP. 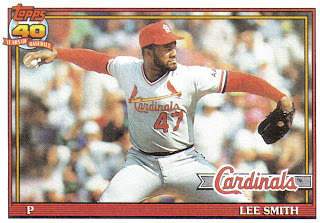 Milestones--lost time to both the 1981 and 1994 baseball strikes but still finished with 808 stolen bases and 2,605 hits. Consistency--never had a batting average lower than .266 or an OBP lower than .350 while he a was a full-time player. Longevity/Durability--played over 20 years and won two World Series rings late in his career as a valuable role player for the Yankees. Had his 1999 season cut short when he was stricken with lupus but battled back from the life-threatening disease and returned to the majors for the 2001 and 2002 seasons. Raines and Brock have similar career batting averages of .294 and .293, respectively, as well as comparable slugging percentages of .425 and .410, however, Raines' .385 career OBP greatly exceeds Brock's .343 career mark. While it is true that Brock did play the bulk of his career during a pitcher's era, only in Brock's best OBP season, .385 in 1971, did the Cardinals speedster even match Raines' career OBP. Moreover, Raines' 123 adjusted OPS+ and 64.6 WAR outshine Brock's respective career totals of 109 and 39.1. Raines and Brock both spent most of their careers as left fielders and while neither player was considered Gold Glove caliber, Raines' .987 career fielding percentage far exceeds Brock's .959 mark. Over the years I have come across many articles about who is the best player at each position not in the Hall of Fame. Usually those articles only include a sentence or two about the players chosen. I decided to take a more in depth look at the players I chose, what may have kept them from being elected to the Hall of Fame, and their chances in the future. In part one, I looked at the infield, catcher, and starting pitcher. Part two centers on the outfield, designated hitter, and relief pitcher. As I stated in part one, you won't see any accused or proven PED users at any of these positions since many of the players I have chosen to include have had their careers overshadowed by PED users' tarnished achievements. 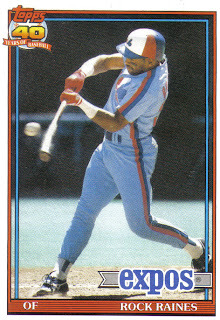 Tim Raines was the NL's premier leadoff hitter and base stealer of the 1980's but he had the misfortune of having his career coincide with that of Rickey Henderson, arguably the greatest leadoff hitter and base stealer of all-time. Both Raines and Henderson were decent outfielders who each boasted a higher batting average, on base percentage, and better than average power for a leadoff hitter. "Rock" led the league in stolen bases four years in a row, from 1981 to 1984, and finished in the top-five several other years. However, Henderson led the league in stolen bases twelve times, over a 19-year span. Raines stole 808 bases in his career, good for fifth all-time, with an 84.7% success rate compared to Henderson's 80.8%. 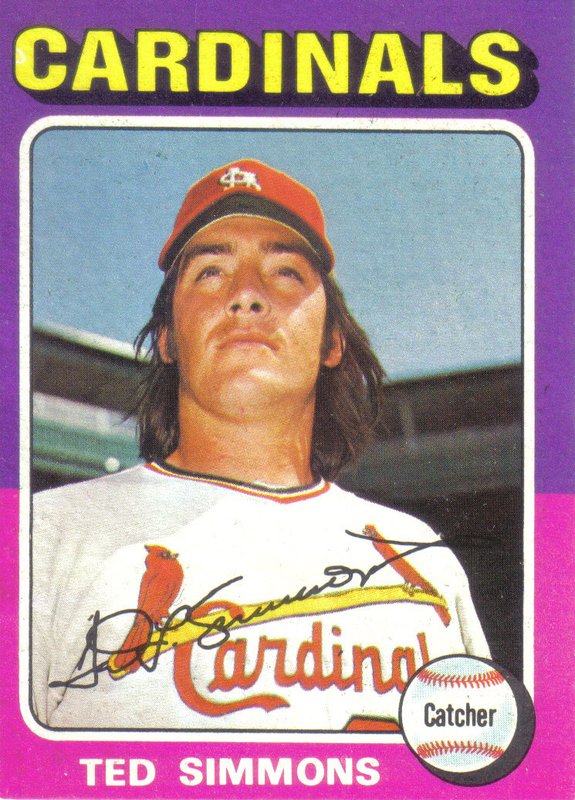 Yet, Henderson was, by far, the most prolific base stealer in baseball history, swiping an all-time high 1,406 bags. While it is true Raines generally falls short in comparison to his contemporary Henderson, "Rock" stands tall when measured against other prominent base-stealing leadoff hitters. Raines finished his career with an impressive .385 OBP and, along with Henderson, often stayed on par with the league leaders in that category--which almost seems like it should be expected of a base stealing leadoff hitter--yet Raines and Henderson are the exception rather than the rule. By contrast, Willie Wilson and Vince Coleman, two other notable base stealing leadoff hitters of the 80's, finished their careers with OBPs of .326 and .324, respectively. In earlier generations, All-Star leadoff hitters Maury Wills (career .330 OBP), Bert Campaneris (career .311 OBP), and Hall of Famer Luis Aparicio (career .311 OBP) each dominated the stolen bases leaderboards but struggled to make it on base a third of the time. In fact, none of these famous leadoff hitter's best OBP season even equaled Raines' career .385 mark, with Luis Aparicio coming the closest with a .372 OBP in 1970. Raines' career numbers stack up favorably to another Hall of Fame leadoff hitter, Lou Brock. Raines and Brock have similar career batting averages of .294 and .293, respectively, as well as comparable slugging percentages of .425 and .410, however, Raines' .385 career OBP greatly exceeds Brock's .343 career mark. While it is true that Brock did play the bulk of his career during a pitcher's era, only in Brock's best OBP season, .385 in 1971, did the Cardinals speedster even match Raines' career OBP. Moreover, Raines' 123 adjusted OPS+ and 64.6 WAR outshine Brock's respective career totals of 109 and 39.1. Raines and Brock both spent most of their careers as left fielders and while neither player was considered Gold Glove caliber, Raines' .987 career fielding percentage far exceeds Brock's .959 mark. Brock, however, was at his best in the postseason, batting .391 in three World Series and playing a big part in two Cardinals championships. 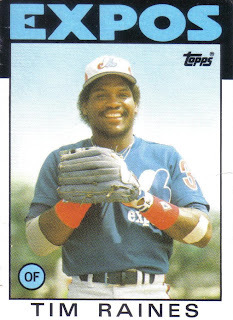 Raines, on the other hand, batted a respectable .270 in the postseason and also won two World Series rings, albeit as a part-time player for the late 90's Yankee dynasty. 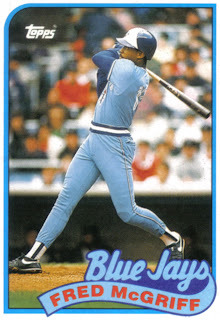 In addition, Brock set both the single season and all-time career records for stolen bases (each of which were later broken by Rickey Henderson) and also surpassed 3,000 career hits. Yet, Raines' ability to draw walks gave the former Expo a 3,977 to 3,833 edge in career times on base despite having 876 less career plate appearances. Raines may not have set the stolen base records that Brock did but was the much more successful base stealer, swiping 808 bags at an 84.7% success rate while Brock was more prolific, nabbing 938 bases--though he was only successful 75.3% of the time. Furthermore, while Brock did lead the league in stolen bases eight times, compared to Raines' four, he also led the league in being caught stealing seven times, a dubious honor Raines never held. 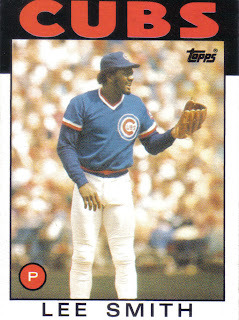 Raines was also better at making contact, never striking out more than 83 times in a season, while Brock fanned 100-plus times in nine different seasons and finished his career with 1,730 strikeouts--trailing only Willie Stargell for the most ever at the time of his retirement in 1979. Despite this, when Brock became eligible for the Hall of Fame, the former Cardinal was voted in on his first try with 79.7% of the vote. That is not to say Brock's career wasn't Hall of Fame worthy, although, by contrast, Raines--who lacked Brock's records and milestones but also lacked many of Brock's weaknesses--didn't even come close to election on his first try, drawing only 24.3% of the vote. One blemish on Raines' career that may be costing the speedster some votes is his early career cocaine use. 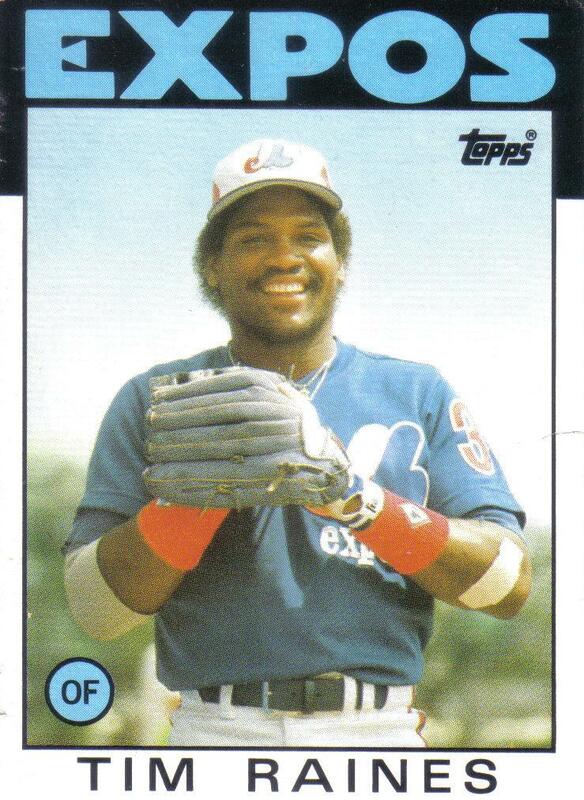 During the middle of the 1982 season, when Raines realized his drug use had became a problem, he met with the Expos front office and agreed to start seeing a psychiatrist to combat his addiction. Additionally, at season's end Raines voluntarily checked into rehab. 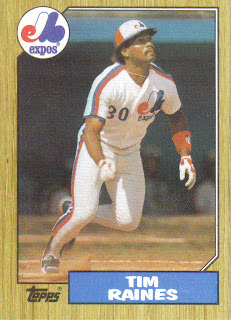 In the ensuing public fall-out caused by Raines' cocaine use, the speedster was regretful, honest, and up front about his drug use. Fortunately, Raines was able to get clean and was not involved in any drug or other scandal for the balance of his career. Some Hall of Fame voters have categorized cocaine use, like steroids, as a performance enhancer. However, Raines suffered a noticeable drop off in performance during the 1982 season, which the speedster attributed to his drug use, and in fact, had his finest seasons in the years immediately after he got clean. Furthermore, admitting early career cocaine use didn't stop Paul Molitor from being elected to the Hall of Fame in his first year of eligibility in 2004. What is rarely brought up is Raines' battle with lupus that brought a premature end to his 1999 season and threatened to end his career all together. 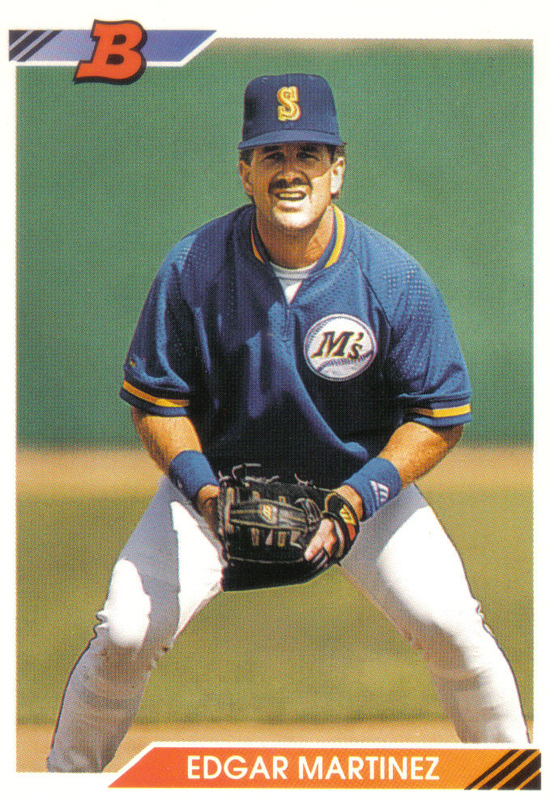 "Rock" courageously battled back and was able to return to the majors for the 2001 and 2002 seasons, during which he sported an impressive .381 OBP and even played a few games alongside his son, Tim Jr. In addition, Raines also lost playing time during both the 1981 and 1994-95 baseball strikes. Out of all the players chosen for each position in this two part article, Raines has the best chance of one day being elected to the Hall of Fame. After a weak 24.3% debut on the ballot, "Rock" surprisingly fell to 22.6% the following year--the same year base-stealing contemporary Henderson was elected on his first try with 94.8% of the vote. Fortunately for Raines, the next two ballots saw promising increases to 30.4% and 37.5%--exactly halfway to the 75% needed for election. If Raines is able to continue his current upward trend, he should be elected with a few years to spare. However, with a glut of surefire Hall of Famers (Greg Maddux, Randy Johnson, Ken Griffey Jr., etc. ), controversial candidates tarnished by PED use allegations (Barry Bonds, Roger Clemens, Gary Sheffield, etc. ), and a poor man's version of himself (Kenny Lofton) set to crowd the ballot in the next five years, a continued upward trend toward election is not a given. I'm sure someone has probably said it before: What a player does in his twenties sets him up for a Hall of Fame career--but it is actually what he does in his thirties that makes or breaks his Hall of Fame chances. 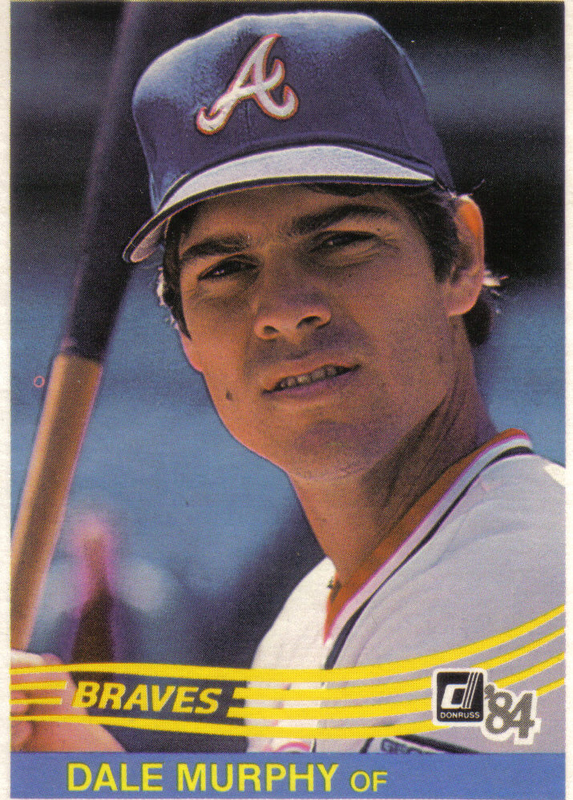 Perhaps no player is a better example of this than Dale Murphy. In his twenties, Murphy seemingly could do it all, he led the league in such categories as home runs, RBI, slugging percentage, walks, and runs scored. At their peak, few players have been as dominant and as well rounded as Murphy, who in 1983 became only the sixth man in baseball history to hit more than 30 home runs and steal 30 bases. In addition, Murphy won back-to-back MVP awards in 1982 and 1983, five straight Gold Gloves in center field, played in 740 consecutive games, and even led the (at the time) long suffering Atlanta Braves to the postseason in 1982. By age thirty, the former Braves slugger had already hit 237 home runs with a slash line of .278BA .357OBP .850OPS and an adjusted OPS+ of 130. After turning thirty, Murphy had a decent year in 1986 and one more excellent one in 1987 before the bottom seemed to drop out on the slugger's career. 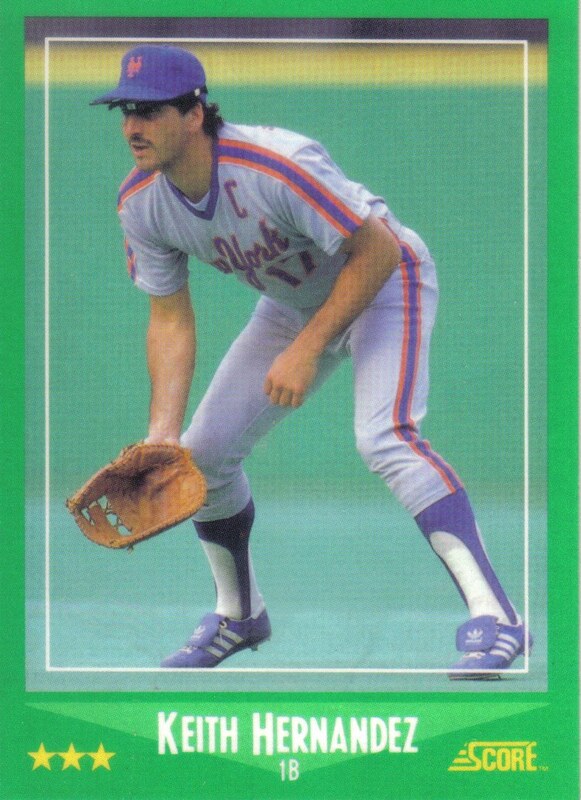 From 1988 until the end of his career, Murphy was a shell of his former self, only managing a line of .234BA .307OBP .702OPS and a below league average adjusted OPS+ of 96. Murphy's final career numbers of just over 2,000 hits and just under 400 home runs put him in the company of both Hall of Famers and non-Hall of Famers. One such Hall of Famer, Jim Rice, had a dominant peak similar to Murphy's and also quickly faded in his early thirties. When Murphy first appeared on the Hall of Fame ballot in 1999, only Dave Kingman and Darrell Evans had hit more home runs and not been elected to the Hall of Fame. However, with the Steroid Era and its tainted records in full swing, Murphy's numbers were already beginning to look paltry by comparison. In his first year of eligibility, Murphy collected 19.3% of the vote, not a bad total when you consider future Hall of Famers Nolan Ryan, George Brett, Robin Yount, and Carlton Fisk all debuted on the ballot that year. Murphy made a modest increase the next year to 23.2% before dropping over the next several years all the way down to 8.5% by 2004. Since then his support has been up and down, always right around 10%, with Murphy tallying 12.6% on the latest ballot. In his prime, Murphy was a rare breed whose five-tool skills arguably made him the best player in the game. Yet, the Braves slugger was known as much for his good deeds off the field as he was for his accomplishments on it. In 1987, Murphy was named co-Sportsman of the Year by Sports Illustrated, largely due to his charity work. If there was ever such a thing as a "Hall of Fame Human Being," by all accounts, Dale Murphy would be it. Although, with stagnated support and just two years left on the ballot, it looks as if Murphy's only chance for the Hall of Fame will be through the Veterans Committee. When younger Red Sox fans think of the number 24 at Fenway, they generally think of Manny Ramirez, his up and down seven and a half year saga with the club, the joy and the stress he caused with his "Manny being Manny" attitude, the two long sought World Series wins he helped yield, and his controversial trade and embarrassing exit from the team. However, when most die-hard, long suffering, pre-Red Sox Nation fans think of the number 24 at Fenway, they remember Dwight Evans, his outstanding glove-work near Pesky's Pole in right field, his mid-career emergence as a power-hitter, his unquestioned work ethic, and his dedication to the team. For nearly two decades, "Dewey" was a dependable, steady presence during Boston's ups and downs. He played important roles on the 1975 and 1986 pennant winning clubs that came up just short to the Reds and Mets in two classic World Series, battled head-to-head against both the "Bronx Zoo" Yankees of the late 70's as well as the Mattingly/Winfield led Yankees of the 80's, and was still a major contributor at the end of his Sox career when Boston was swept out of the ALCS by the Athletics and their mighty "Bash Brothers" in 1988 and 1990. For the first half of his career, Evans was more known for sure-handed glove and strong throwing arm in right field than his bat. 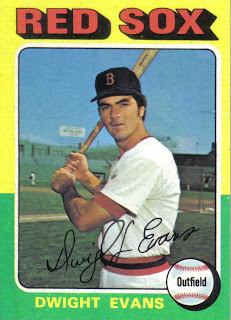 In fact, "Dewey" won his first of eight Gold Gloves in 1976 after highlighting his defensive prowess with a tie preserving catch and assist in Game 6 of the previous year's World Series that helped set the stage for Carlton Fisk's memorable game-winning home run. 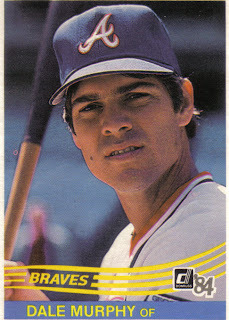 During the 1980 season, Evans worked with hitting coach Walt Hriniak, who changed his batting stance, and was able to evolve into one of baseball's best hitters, tying for the league lead in home runs the following year. Moreover, during the decade of the 1980's, Evans led the AL with 256 home runs and all of baseball with 605 extra base hits. After 19 years with Boston, "Dewey" ended his career after playing one season with the Baltimore Orioles. Although he was past his prime, Evans still managed to get on base at a more than respectable .393 clip in his final season. Evans finished his career with nearly 2,500 career hits, almost 400 home runs, and a second half career surge along with a trio of recent playoff appearances fresh in voter's minds. Yet when the BBWAA votes were counted, Evans only managed 5.9% of the vote on a weak Hall of Fame ballot in which four-time holdover Phil Niekro was finally elected and the only other first-time candidate to draw decent support was former Pirates slugger Dave Parker with 17.5%. On his second ballot, Evans made a moderate increase to 10.4%, only to drop off the BBWAA ballot for good, one year later, when his support tumbled to 3.6% on a crowded ballot that included first-time nominees Nolan Ryan, George Brett, Robin Yount, and Carlton Fisk. For the greater part of his career, Evans was overshadowed by fellow outfielder and future Hall of Famer Jim Rice. During the first half of his career, Evans was generally batted near the bottom of the order, while Rice was batted in the heart of the order, due in large part to Rice's higher batting average. In fact, more than three quarters of Rice's career plate appearances came at third or fourth in the batting order compared to less than 15% of Evans' plate appearances coming at those spots. 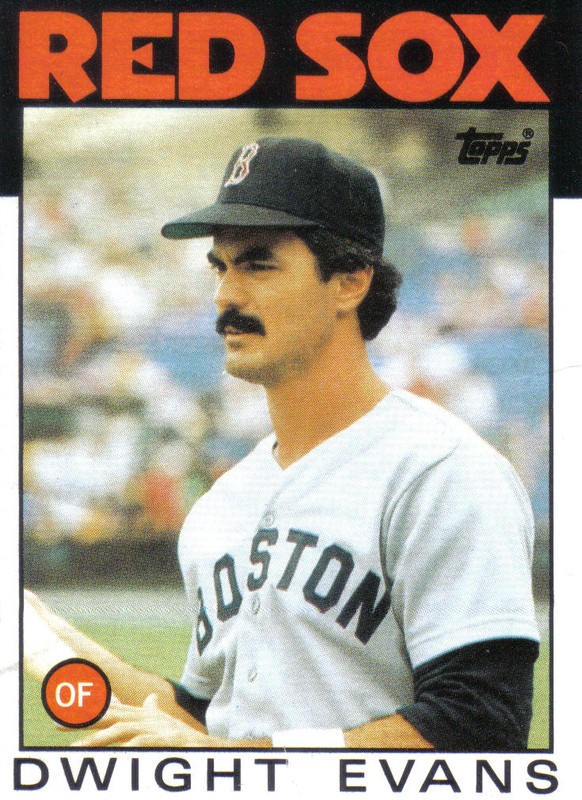 Even during his peak years in the 1980's, "Dewey" was usually batted second or sixth while Boston managers continually used declining superstars such as Rice and Carl Yastrzemski or overrated hitters like Tony Armas and Bill Buckner in the three and four holes. Underrated by even his own club, Evans was still able to put up strong RBI and runs scored totals despite being moved all around the batting order. In fact, over the course of his career, Evans had 434 or more plate appearances at each of the nine spots in the order. In the decade plus since Evans fell off the Hall of Fame ballot, writers and fans alike have begun to look for a deeper understanding of baseball statistics. Books like "Moneyball" and writers such as Bill James have brought overlooked stats such as OBP and OPS+ to the forefront and sabermetric stats like WAR are now viewed alongside the more traditional, easily quantified stats such as batting average, home runs, and RBI. "Dewey's" strong performance in these overlooked and sabermetric statsitics underline how great a player he was. In fact, Evans edges former teammate Rice in career OBP (.370 to .352), is on par with him in career OPS+ (127 to 128), and greatly outpaces the Hall of Famer in career WAR (61.8 to 41.5). "Dewey's" lack of Hall of Fame support most likely stemmed from his .272 lifetime batting average, a relatively low total for a Hall of Famer. When Evans fell off the Hall of Fame ballot after the 1999 election, on base percentage had yet to emerge from the shadow of batting average. However, over the next several years, the "Idiot" Red Sox and "Moneyball" Oakland Athletics teams, along with their young general managers, Theo Epstein and Billy Beane proved that building teams on undervalued statistics such as OBP rather than just traditional stats like batting average was an excellent strategy. 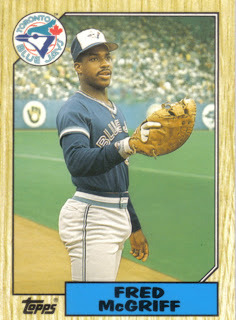 Had Evans debuted on the ballot during this time, it is likely his excellent .370 career OBP would have gained him more than enough votes to stay on the ballot and in the following years a focus on his strong 61.8 career WAR may have gathered the underrated slugger enough support to eventually be elected. Both undervalued stats like OBP and sabermetric stats such as WAR along with batting average and other traditional stats will play a part in the debate when "Dewey's" Hall of Fame case is re-opened the next time the Expansion Era division of the Veterans Committee convenes in 2013. When 41-year old Edgar Martinez finally decided to call it a career at the end of the 2004 season, the slugger had accomplished a rare feat in this day and age: he had played his entire career with one team, the Seattle Mariners. Martinez's 18-year odyssey with the Mariners predated Ken Griffey Jr.'s arrival in Seattle and spanned to include the club's metamorphoses from league doormat to perennial contender, all four of the franchise's playoff appearances, and a move from the dreary Kingdome to beautiful Safeco Field, before finally seeing its conclusion a few seasons into the "Ichiro Era." Few players have meant more to a franchise than Martinez did to the Mariners during the 1995 season. Despite losing superstar Ken Griffey Jr. to injury for almost half the season, the Mariners were able to catch and pass the California Angels for their first division title. This was, in large part, behind the strength of Martinez's bat which led the AL with an eye popping 52 doubles, .356 batting average, .479 OBP, and 185 adjusted OPS+. During Game 4 of the ALDS, with the team facing elimination against the New York Yankees, Martinez erased most of a five run deficit with a 3-run home run off Scott Kamieniecki in the bottom of the 3rd and, later, in the bottom of the 8th it was Martinez's grand slam off closer John Wetteland that broke a 6-6 tie to force Game 5. The following night, Martinez finished off the Yankees with a memorable 11th inning two-run walk off double against Yankees hurler Jack McDowell to bring the franchise its first playoff series win after nearly two decades of futility. 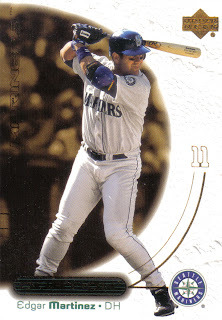 Martinez, his teammates, and their accomplishments during the 1995 season went a long way toward getting the team the new ballpark at Safeco Field that would keep the franchise in Seattle. Martinez's excellent 1995 season was also his first as the team's designated hitter after the team moved him from 3rd base. 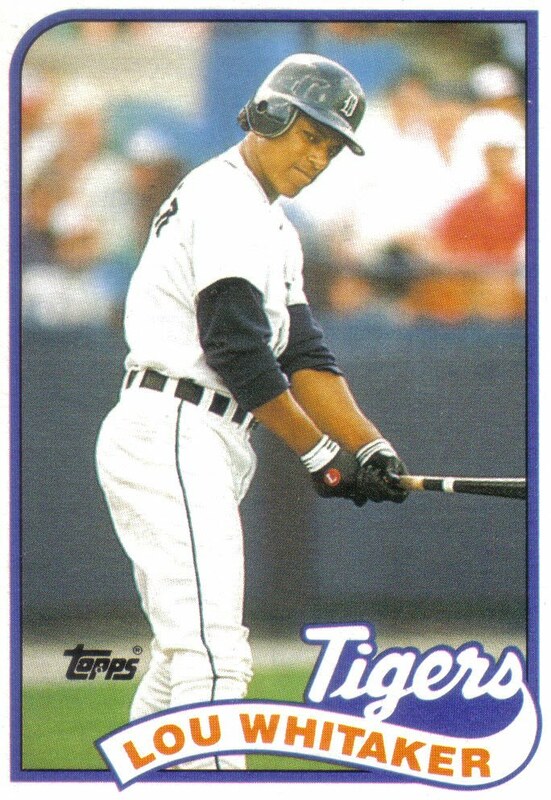 Prior to the move to DH, Martinez had put up three impressive offensive seasons, including an All-Star 1992 season in which he led the AL with a .343 batting average, before spending a large portion of the 1993 season and some of the 1994 season on the disabled list. Much like Paul Molitor, a permanent move to DH helped keep Martinez off the DL and in the line up. In fact, for the next nine years Martinez averaged nearly 40 doubles, over 25 home runs, 100 plus RBI, along with a .321 batting average, .438 OBP, and a 159 adjusted OPS+. Martinez's career .312 average, .418 OBP, and 147 adjusted OPS+ have Hall of Fame immortality written all over them. However, the Mariners slugger wasn't able to stick in the big leagues as a full-time player until he was 27, so his 2247 career hits are a touch below Cooperstown norms. In addition, over 70% of his plate appearances came as a DH and depending on the Hall of Fame voter that may cost Martinez some votes. Harold Baines, for example, was announced as the DH for more than half his plate appearances and fell off the Hall of Fame ballot after just a few elections despite 2,866 career hits. However, Martinez was a much more dominant hitter than Baines, whose impressive career totals were more a product of longevity rather than dominance. First ballot Hall of Famer Paul Molitor batted as a DH for almost half his career, yet easily made his way to Cooperstown, due in large part to his 3,319 career hits. Another debate that is brought up in Martinez's Hall of Fame candidacy is whether not playing in the field should be as great a penalty as below average fielding. Willie McCovey and Willie Stargell were never bestowed with Gold Gloves during their playing careers and are both several defensive wins below replacement for their careers. The late Harmon Killebrew's glove was hidden at both corners of the infield and also out in left field before he finally finished his career as a DH. However, suspect fielding didn't keep any of these men, all dominant hitters, out of Cooperstown. In his debut on the Hall of Fame ballot, Martinez was able to draw decent support with 36.2% of the vote. However, the former Mariner slugger saw a surprising drop to 32.9% on the latest ballot and while suffering a drop in vote totals in the second year does not necessarily doom a Hall of Fame bid--as we've seen in the recent cases of Bert Blyleven, Gary Carter, and Phil Niekro--it certainly is not a promising trend. In the coming years, Martinez along with Fred McGriff, another Hall of Fame candidate who debuted on the ballot in 2010 and saw decreased support on his second ballot, will find himself fighting for votes on a crowded ballot with both tarnished and untarnished stars of the Steroid Era. One thing that may help or may hurt Martinez, there's no player quite like him on the ballot. 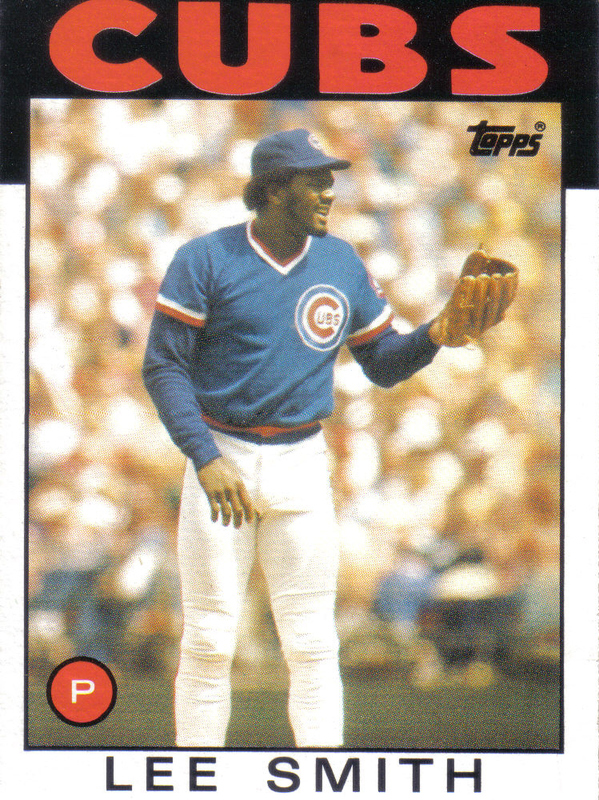 Lee Smith's career as a reliever started in the early 80's back when a bullpen's best pitcher was referred to as a fireman and entering a game in the 7th inning with the tying run on base wasn't out of the question. By the time Smith's career ended in the late 90's, firemen were a thing of the past, the top man in the bullpen was now known as the closer, and entering a game in the 9th with no runners on base had become the norm. Smith is one of the few relief pitchers to find success as both a fireman and a closer. 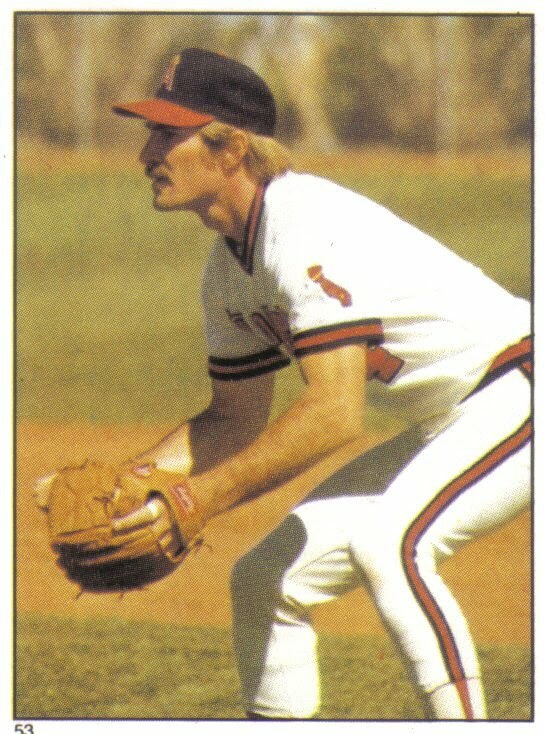 In fact, Smith led the league in saves in 1983 during the dying days of the fireman and also led the league in saves in 1991, 1992, and 1994 as the closer in a specialized bullpen. In addition to leading the league in saves four times, Smith was a four-time runner up to the league leader in 1984, 1985, 1987, and 1995. Smith never won a Cy Young but finished as high as second, in 1991, when he set the (at the time) NL single season saves record with 47. Smith also picked up two NL Rolaids Relief awards, in 1991 and 1992, as well as one AL Rolaids Relief award in 1994. During the 1993 season, the intimidating 6'5" Smith passed Jeff Reardon as the all-time saves leader, an honor he held until Trevor Hoffman notched save number 479 in late 2006. Thus far, only five relief pitchers have been elected to the Hall of Fame: Hoyt Wilhelm, Rollie Fingers, Bruce Sutter, and Rich Gossage, each of whom were firemen, and Dennis Eckersley who was a closer. Over Smith's career, the intimidating reliever successfully converted 82% of his save opportunities. In fact, Smith's save success rate is higher than Wilhelm's (79%), Fingers' (76%), Sutter's (75%), and Gossage's (73%) but just below Eckersley's (85%). Although, one could make the argument that Smith's save success rate is only as high as it is because most of his saves came as a closer rather than a fireman. However, during Smith's eight seasons in Chicago, he was generally used as a fireman and successfully converted 80% of his saves. On Smith's first appearance on the Hall of Fame ballot, in 2003, the intimidating reliever drew a promising 42.3% of the vote. At the time, Smith's vote percentage put him just behind former teammate Ryne Sandberg's 49.2% and just ahead of fireman Rich Gossage's 42.1%. However, the following year, Smith's support unexpectedly plummeted to 36.6%, the same year former closer Dennis Eckersley breezed into the Hall of Fame on his first try with 83.2% of the vote. Two years later, on a weak 2006 ballot, fireman Bruce Sutter was finally elected on his thirteenth try, while Smith rebounded to 45%. However, the next year Smith's support dropped again, this time to 39.8%, just a few months after Trevor Hoffman broke his all-time saves record. In 2008, Gossage--whose increased vote totals since 2003 contrasted Smith's stagnant support--was elected on his ninth try while Smith tallied 43.3%. On the latest Hall of Fame ballot, Smith's vote percentage fell once again, this time from a personal high of 47.3% in 2010 down two percent to 45.3. On the same ballot, closer John Franco, who sits one spot below Smith with 424 career saves, fell off the BBWAA ballot for good after gaining only 4.6% of the vote on his first try. Since his 2003 debut on the Hall of Fame ballot, Smith's vote percentage has fluctuated between 36.6 and 47.3%. It would appear that one-third of the voters strongly back the intimidating reliever's candidacy regardless of the strength of the ballot. One reason why Smith may have struggled to sway more voters is his .436 career win percentage. Win/loss record is not considered the best way to evaluate a reliever but Smith's win percentage is lower than each of the five relievers in the Hall of Fame. What's more, with a series of crowded Hall of Fame ballots on the horizon and closers Trevor Hoffman and Billy Wagner likely to join the ballot in 2016, it is doubtful Smith's see-saw support will rise to 75% and the intimidating reliever will probably need to wait for the Veterans Committee to weigh the sum of his career, fireman and closer. Over the years I have come across many articles about who is the best player at each position not in the Hall of Fame. Usually those articles only include a sentence or two about the players chosen. I decided to take a more in depth look at the players I chose, what may have kept them from being elected to the Hall of Fame, and their chances in the future. I chose to separate my article into two parts, the first of which centers on the infielders, catcher, and the starting pitcher. I did not consider Jeff Bagwell, Barry Larkin, or Jack Morris--three players who one could argue belong in this article--since they are still on the Hall of Fame ballot and have a pretty good shot at accumulating the necessary 75% of the vote to be elected in the next couple of years. Instead I included players who have been or are currently overlooked by the BBWAA Hall of Fame voters. You also won't see any accused or proven PED users at any of these positions since many of the players I have chosen to include have had their careers overshadowed by PED users' tarnished achievements. As I stated in a previous article, taking the high road and not using PEDs during the Steroid Era hasn't helped Fred McGriff with the Hall of Fame voters thus far. From 1988 to 1994, McGriff dominated pitching, launching between 31 to 37 home runs before starting his natural decline just as his PED-using peers found the syringes, pills, and creams that would make a mockery of the home run and the era as a whole. There is no way to know how much steroids and other PEDs benefited the sluggers of the Steroid Era, but if we eliminate accused and proven PED users, that leaves Ken Griffey Jr. (630 HRs), Jim Thome (589 HRs at the end of 2010), Frank Thomas (521), and McGriff (493) as the top home run hitters of their generation. Regardless of the PED use by McGriff's peers, it is true that the slugger spent the greater part of his career playing in a hitter's era. However, most of McGriff's career peak came in the five years prior to the 1993 expansion draft that ushered in the dawn of the hitter's era that would evolve into the Steroid Era. 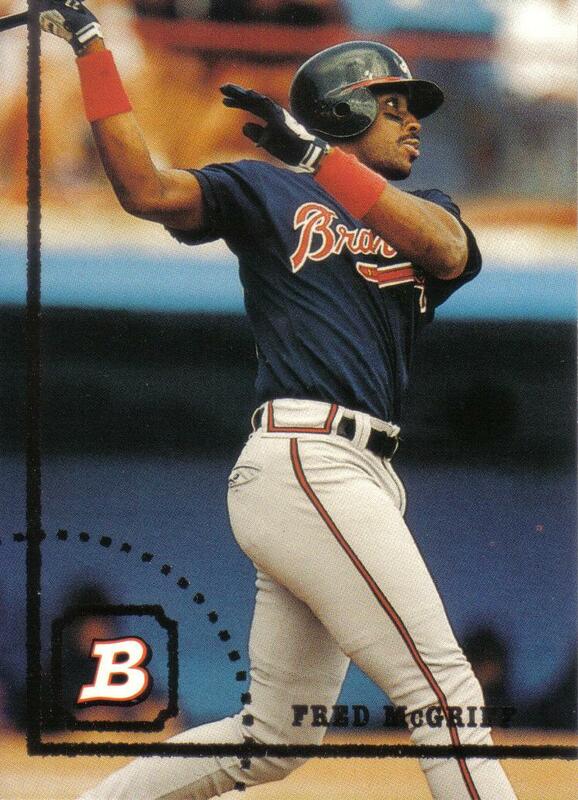 Moreover, during those five years no one hit more home runs in all of baseball than McGriff. While it was not surprising to see McGriff fall short of Hall of Fame election in his first year, his meager 21.5% debut was certainly underwhelming. Even more disappointing was seeing "Crime Dog's" support actually drop to 17.9% in his second year. It has become clear that McGriff faces an uphill, but not insurmountable (see Bert Blyleven) climb to be elected to the Hall of Fame. Furthermore, over the next several years the rest of the home run hitting sluggers of the Steroid Era will be joining McGriff on the Hall of Fame ballot. These sluggers will include untarnished likely first ballot Hall of Famers (Ken Griffey Jr. and Frank Thomas) in addition to accused and proven PED users (Barry Bonds, Sammy Sosa, Manny Ramirez, and Gary Sheffield). With so many home run hitting sluggers set to crowd an already full ballot, "Crime Dog" is in danger of joining the likes of Dave Kingman and Darrell Evans as the only players not accused of PED use with 400 or more home runs to fail to be elected into the Hall of Fame. 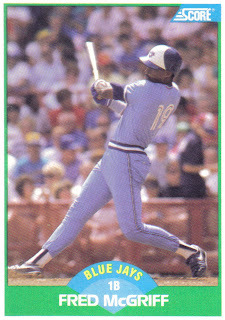 However, where Kingman was a one-dimensional home run hitter who rarely drew walks and barely hit his weight, McGriff hit for both a comfortable batting average (.284 career BA) and drew a large number of walks (.377 career OBP) while still finishing with 493 home runs compared to Kingman's 442. As for Evans, he was an underrated hitter (.361 career OBP), fielding most of his career at an often underrated position (3rd base), but despite his 414 career home runs, he failed to draw adequate Hall of Fame support, mostly due to his .248 career batting average. At the end of McGriff's career, he sat just seven home runs shy of 500, a total the slugger almost certainly would have surpassed had it not been for the 1994-95 baseball strike. However, because of the Steroid Era, 500 home runs itself had become a devalued milestone. In previous eras, 400 home runs, except in the rare cases of Kingman and Evans, was an eventual ticket to Cooperstown. Had he played in any other era, McGriff likely would have eclipsed 400 home runs and been immortalized in the Hall of Fame. Unfortunately for "Crime Dog", his career achievements have been overshadowed by his PED-using peers and their unnatural home run totals. As McGriff struggles to gain votes on a Hall of Fame ballot crowded with PED users, the unfortunate reality is that his career may never be able to step out of the shadow of the era he played in and the slugger may become the real victim of the Steroid Era. 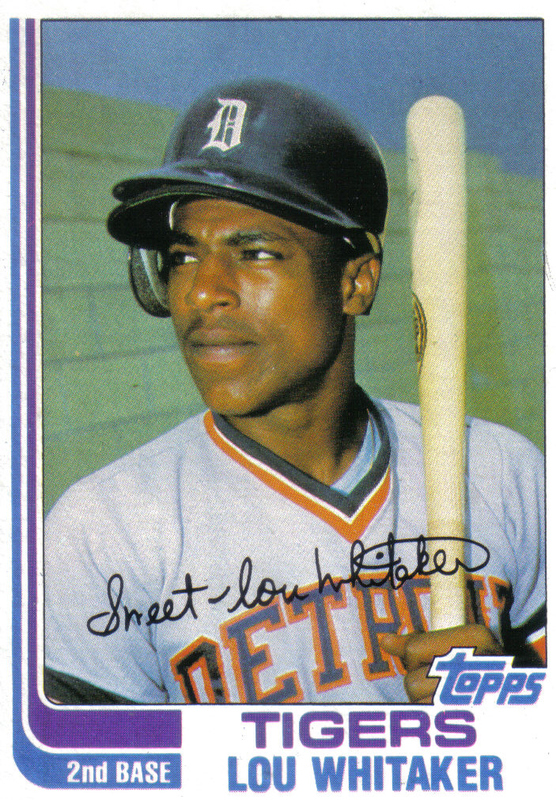 From the final weeks of the 1977 season all the way through the 1995 season, Lou Whitaker and Alan Trammell formed the longest running keystone combination in baseball history, leading the Detroit Tigers through both good times (104 wins and a championship in 1984) and bad (103 losses in 1989). 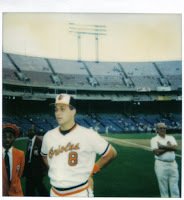 Despite being somewhat overshadowed by future Hall of Fame middle infielders Ryne Sandberg, Ozzie Smith, and Cal Ripken Jr., both Whitaker and Trammell were generally regarded as future Hall of Famers during their playing careers. However, when the 2001 Hall of Fame votes were tallied, Whitaker shockingly only gained 2.9% of the vote, falling short of the 5% required to remain on the ballot for future elections. The following year, Trammell debuted at just 15.7% and nearly a decade later his vote totals still have yet to surpass 25%. With only a few years left on the ballot it is unlikely he will come anywhere close to getting voted in by the writers. Nevertheless, in the coming years Whitaker and his double play partner Trammell should make for a good Hall of Fame argument for the Veterans Committee. Indeed, both Whitaker and Trammell's career hitting and fielding statistics compare very favorably with current Veterans Committee voter Ryne Sandberg's. During their playing careers, Sandberg was more appreciated by the fans and the press and also fared better in All-Star and season-ending awards voting than Whitaker and Trammell. 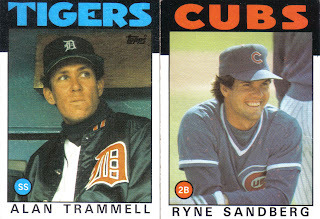 In their primes, Sandberg was the most dominant player of the three, although Whitaker and Trammell each won the World Series ring that would remain elusive to Sandberg, with Trammell picking up the World Series MVP in 1984. However, Whitaker and Trammell both outperform Sandberg in offensive and defensive career WAR. In fact, of retired players no longer on the BBWAA ballot, Whitaker trails only Bill Dahlen, Pete Rose, and Bob Caruthers in career WAR. Yet, in contrast to Whitaker and Trammell, Sandberg had little trouble being voted into the Hall of Fame, collecting 49.2% of the vote in his 2003 debut on the ballot before being voted in two years later. While Whitaker and Trammell may have only played the twilight of their careers in the Steroid Era, the era itself--with middle infielders regularly hitting 30 home runs--helped doom Whitaker's candidacy and certainly complicated Trammell's chances by making their impressive 15-20 home run seasons look pedestrian in comparison. In addition, Whitaker and Trammell both lost playing time during the 1981 and 1994-1995 baseball strikes. While Whitaker and Trammell's candidacies may find renewed life in the Veterans Committee, that ever changing body has had trouble agreeing on anything in the past decade...which brings us to our next player. 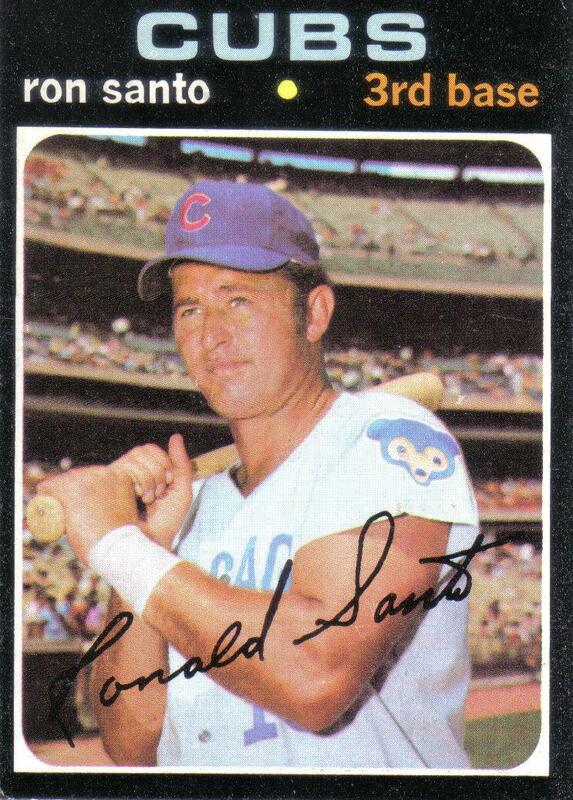 Often regarded as the best (non-banned for life) player not in the Hall of Fame, the much celebrated Cubs player and broadcaster Ron Santo sadly passed away last December from bladder cancer. Despite an All-Star and Gold Glove filled 15-year career, Santo managed only 3.9% of the vote in his first year of eligibility and fell off the Hall of Fame ballot before being re-added five years later, along with Vada Pinson, Ken Boyer, and several other players who had received less than 5%. Once he was back on the ballot Santo received moderate support, topping out at 43.1% in his fifteenth and final year on the BBWAA ballot in 1998. Five years later, Santo became eligible to appear on the newly revamped Veterans Committee ballot which had been changed, in part, as a reaction to cries of cronyism in the elections of Phil Rizzuto and Bill Mazeroski. Not surprisingly, Santo drew strong support and finished a close third, just behind Gil Hodges and Tony Oliva, with 56.8% of the vote. Unfortunately, in a rare occurrence, the Veterans Committee failed to elect any former players to the Hall of Fame. In the ensuing years, the Veterans Committee continued to elect managers, umpires, and executives but in the separate elections for former players, no one accumulated the 75% vote needed for election. Moreover, Santo was the top vote getter in these bi-annual, continually restructured Veterans Committee player elections with 65% in 2005, 69.5% in 2007, and 60.9% in 2009. After the 2009 election, the Hall of Fame decided to once again overhaul the Veterans Committee election process, making Santo eligible as part of the newly established Golden Era Committee which will vote later this Fall. One argument against Santo was that the late '60s/early '70s Cubs teams he starred on included Hall of Famers Ernie Banks, Billy Williams, and Ferguson Jenkins but were still unable to win a pennant. What is often overlooked in that viewpoint is that Banks was well past his prime during those years. Santo's critics also point out that his career was relatively short for a Hall of Famer and that he played most of his home games at Wrigley Field, a hitter's park. While it is true that Santo's career may not have been long in length, he could be counted on to stay in the line up, appearing in 154 or more games each year from 1961 to 1971. In addition, only seven men played more games at 3rd than Santo, who suffered with diabetes throughout his career and eventually lost both legs to the disease. Without a doubt, Santo's home/road splits prove he benefited from playing most of his home games at Wrigley but, on the other hand, the Cubs legend also played the bulk of his career in an era that strongly favored pitchers. It is these arguments and counter-arguments that the Golden Era Veterans Committee will weigh when Santo is considered for the Hall of Fame for the twentieth time this Fall. Considered a weak defender at a position that places a lot of emphasis on defense, Ted Simmons is arguably the best hitting catcher not in the Hall of Fame. Undoubtedly, almost all of "Simba's" Hall of Fame case is built upon being one of the finest hitting catchers in baseball history. Despite spending many years playing opposite future Hall of Fame catchers Johnny Bench, Gary Carter, and Carlton Fisk, Simmons managed to finish his career with more hits, doubles, and RBI than each of the three. In addition, his career batting average and OBP were higher and he was intentionally walked more than each of the three as well. Simmons was also one of the toughest hitters to strikeout, never fanning more than 57 times in a season. In fact, over the course of "Simba's" career, his strikeout percentage per plate appearance was only about half of the major league average. Unfortunately for Simmons, he fell off the Hall of Fame ballot after collecting only 3.7% of the vote in his first year of eligibility. Three factors seriously hindered "Simba's" Hall of Fame chances: 1. 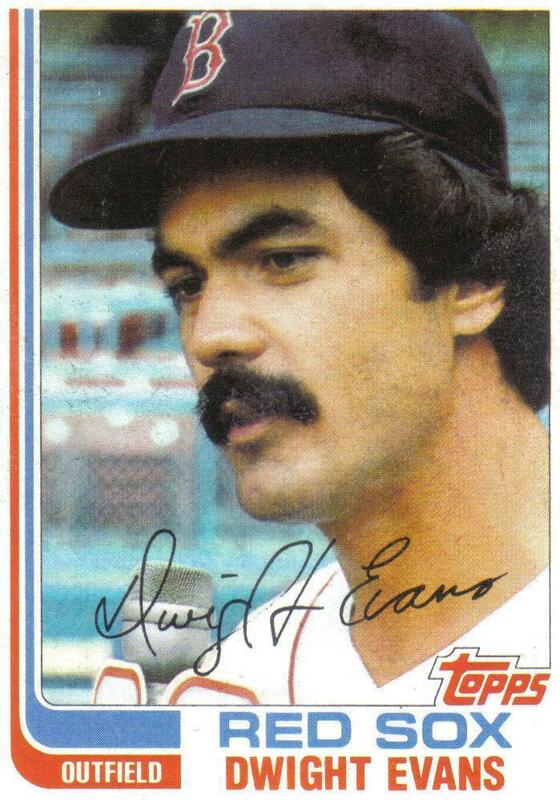 He was traded from the eventual World Series winning Cardinals to the Brewers team they beat to win the championship. 2. 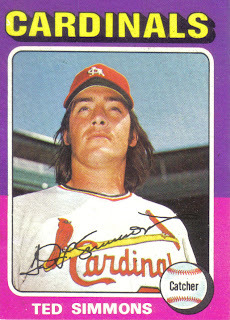 The main reason he was traded from the Cardinals was because manager Whitey Herzog wanted to move a reluctant Simmons from catcher to a different position and this drew more attention to his defensive shortcomings. 3. He hung around too long, adding only 102 hits in his final three seasons as a part-time player with the Braves, leaving voters with the image of him as a fading veteran, struggling to hold on, rather than the All-Star he had been. Simmons recently appeared on the Expansion Era Veterans Committee ballot but the former Cardinal didn't get anywhere near the 75% needed for election. In an ironic twist, Herzog was one of the 16-man panel of Veterans Committee voters. I wonder if the "White Rat" voted for "Simba?" On July 18, 1999, David Cone hurled the sixteenth perfect game in baseball history on Yogi Berra Day at Yankees Stadium in front of Berra and his perfect game battery-mate Don Larsen. When Cone dropped to his knees in disbelief after 3rd baseman Scott Brosius caught the final out, the Yankee pitcher appeared well on his way to a Hall of Fame career. Unfortunately, after he pitched his perfect game, Cone's career seemed to fall apart. Following his perfect game, Cone's career record stood at 178-97 with 2,340 strikeouts and a 3.15 ERA. The Yankees pitcher appeared to be a lock for 200 plus wins and 3,000 plus strikeouts. However, for the remainder of his career Cone slumped horribly, going 16-29 with an abysmal 5.55 ERA. Cone's late career decline included a 2-5 slump after his perfect game, a disastrous 2000 campaign where he went 4-14 with a 6.91 ERA, one forgettable season in Boston, and a short lived, injury riddled comeback with the 2003 Mets following a one year sabbatical from the game. Unfortunately for Cone, he was "one and done" on the Hall of Fame ballot, picking up only 3.9% of the vote in his first year of eligibility. 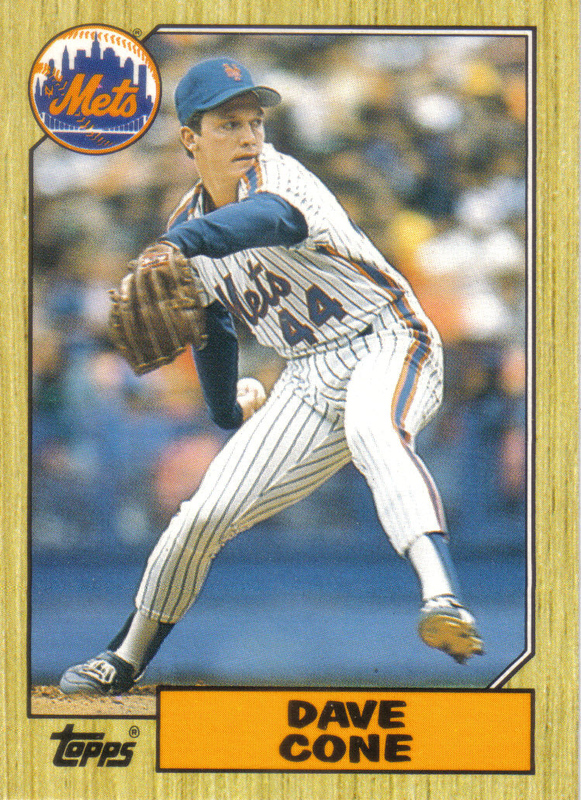 Cone's lack of support was surprising considering that the articulate right-hander was always a favorite of sportswriters and he spent the greater part of his career playing in the country's biggest media market for the Mets and the Yankees. 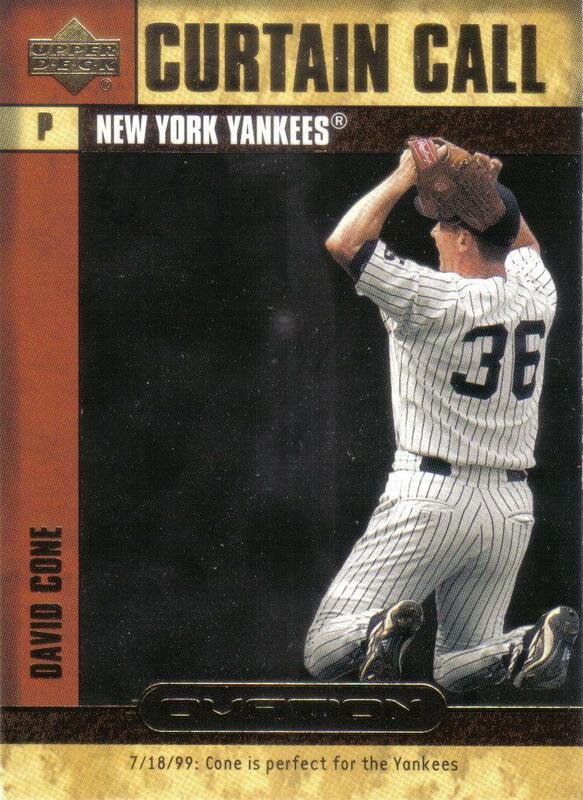 In addition, Cone finished his career with a fistful of World Series rings (one with the Blue Jays and four with the Yankees), went 8-3 in the postseason, and was considered a clubhouse leader on the late 90's Yankees dynasty. Cone also made five All-Star teams, won the 1994 Cy Young for his hometown Kansas City Royals, and finished at or near the top of the league in strikeouts throughout his career. Cone's career numbers are also more impressive when you consider he spent a good portion of his career pitching in the powerhouse AL East during the hitter friendly Steroid Era. Cone suffered the misfortune of having the 1994-95 baseball strike cut short his 1994 16-5 Cy Young Award winning season and also shorten his 1995 campaign where he went 18-8. Had it not been for the strike it is possible that Cone, a 20-game winner in 1988 and 1998, would have been a four-time 20-game winner. It is also likely that Cone would have crossed the 200 win threshold if not for the strike. Cone's quick exit from the ballot can be attributed, in part, due to his inability to reach 200 wins and 3,000 strikeouts. Historically, BBWAA Hall of Fame voters have given little support to pitchers who fail to reach one or both of those career milestones. In fact, the only non-relief pitchers with less than 200 wins voted in by the BBWAA were Dizzy Dean, Dazzy Vance, and Sandy Koufax, with Koufax being the latest all the way back in 1972. All other non-relief pitchers to make it in the Hall of Fame with less than 200 wins did so through the Veterans Committee. Cone himself will have to wait until at least 2023--twenty years after pitching in his last game--to be eligible to appear on the Veterans Committee ballot. When Cone inevitably appears on the Veterans Committee ballot, he may draw support from comparison to another Yankees hurler, Allie Reynolds. Reynolds, nicknamed "Superchief," starred for the Yankees dynasty that won a record five World Series in a row from 1949 to 1953. Like Cone, Reynolds was one of the top strikeout pitchers of his time and provided veteran leadership to a Bronx dynasty. Both had many memorable wins, with Reynolds performing a rare feat similar to Cone's perfect game by spinning two no-hitters during the 1951 season. On the 2008 Veterans Committee vote for players who started their careers prior to 1943, Reynolds came just one vote shy of the nine votes needed for election by the 12-man panel. After coming so close in 2008, there is a decent chance the Veterans Committee may elect Reynolds to the Hall of Fame by the time Cone is eligible again. This bodes well for Cone whose career win/loss record (194-126 for Cone, 182-107 for Reynolds) and postseason resume (8-3 record with 5 World Series rings for Cone, 7-2 record with 6 World Series rings for Reynolds) are very similar to Reynolds'. It was a tough year for sluggers from the "Steroid Era" in January's Hall of Fame vote. First time nominees Rafael Palmeiro and Juan Gonzalez learned that a failed drug test or an appearance on the Mitchell Report will only result in 11% and 5% of the vote, respectively. Another first timer, Jeff Bagwell, didn't bring the same failed drug test/Mitchell report baggage, just suspicion and whispers about his body shape. Whether these whispers are fair or not, Bagwell, once thought to be a possible first ballot Hall of Famer debuted with just 42% of the vote. Admitting steroid use doesn't help you gain lost votes either as holdover Mark McGwire found out, seeing his vote percentage drop from 24% in 2010 to a new low of 20% in 2011. It appears the Baseball Writers Association of America (BBWAA) are taking the hard line with suspected and proven Performance Enhancing Drug (PED) users. 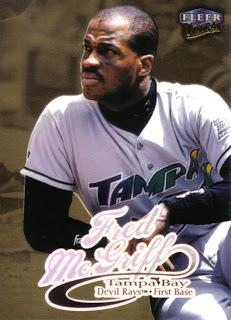 So how do you explain the lack of support for Fred McGriff, one of the few sluggers from the "Steroid Era" who was not caught up in PED use allegations and never had the “PED user” label? McGriff, in his second year on the ballot, actually saw his vote percentage drop from 22% to 18%. Controversy makes news and the Hall of Fame seems to always be more about who doesn't get in rather than who does get in. Just as Pete Rose not being on the ballot engulfed the Hall of Fame in controversy in prior decades, now the BBWAA's handling of the sluggers from the "Steroid Era" is the new controversy. A lot of BBWAA members feel like they are “gatekeepers” protecting the Hall of Fame from suspected and proven PED users. That's why it is so unfair for a player like Fred McGriff, who seemingly stayed clean and was thus overshadowed by an era of PED users, to once again be overshadowed by these same players when the BBWAA votes for the Hall of Fame. This year was bad enough but it's only going to be worst when Barry Bonds, Sammy Sosa, and Roger Clemens appear on the ballot in 2013. McGriff, nicknamed "Crime Dog", started his major league career with five at bats for the 1986 Toronto Blue Jays, debuting the same year as Bonds, McGwire. and Palmeiro. Of the four, only Bonds played regularly in 1986. McGriff quickly established himself as one of baseball’s most feared sluggers, hitting between 31 to 37 home runs in the seven-year span from 1988 to the strike-shortened 1994 season and finished each year in the top 4 in home runs in his respective league, leading the AL in 1989 and NL in 1992. During the same seven-year span, Bonds’ combination of power and speed led the sometimes reluctant writers to overlook his strained relationship with the press and vote him the NL’s MVP in 1990, 1992, and 1993. 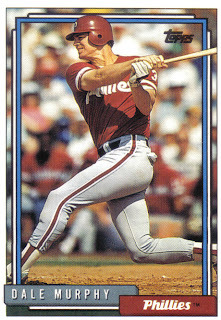 Despite hitting home runs with the most frequency of the four, McGwire struggled to follow up his record-setting 49 home run rookie year, experiencing a drop in batting average while also suffering injuries that kept him off the field for extended periods of time during the 1993 and 1994 seasons. 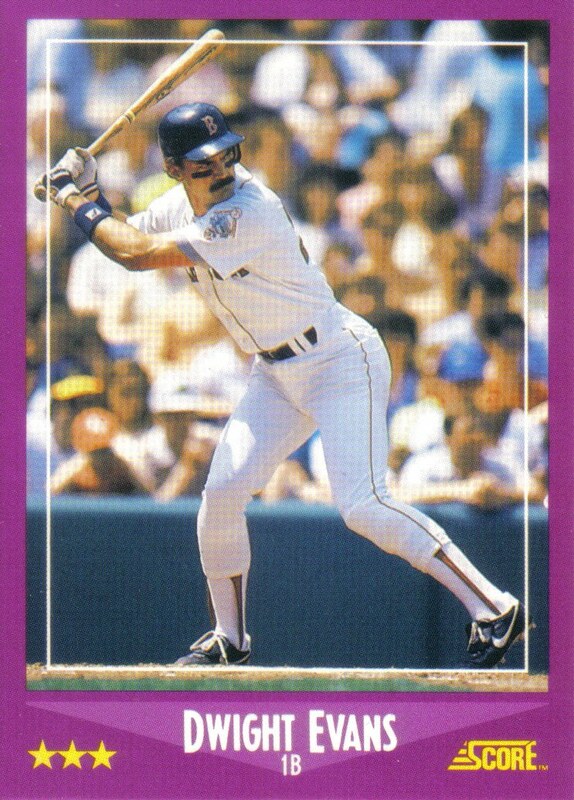 Palmeiro, on the other hand, was finally evolving from a doubles hitter into a home run threat. Then things started to get silly, first baseball went on strike and then the remainder of the 1994 season along with the World Series was canceled. When play resumed, the players and their home run totals were growing at impressive and alarming rates. Bonds, McGwire, and Palmeiro all enjoyed multiple 40 home run seasons and names such as Sammy Sosa, Ken Caminiti, and Todd Hundley, along with several others, also joined the ranks of players with 40 home run campaigns. While no longer a perennial MVP candidate and home run leader, McGriff was still a very productive player, averaging 27 HR, 99 RBI, .288 BA, .371 OBP and an adjusted OPS of 122 from 1995 to 2002 before finishing his distinguished career with an injury-riddled one-year tour of duty with the Dodgers (the only season he spent time on the disabled list) and an 81 at bat last hurrah/final stab at 500 home runs the following year with the uncompetitive Devil Rays. 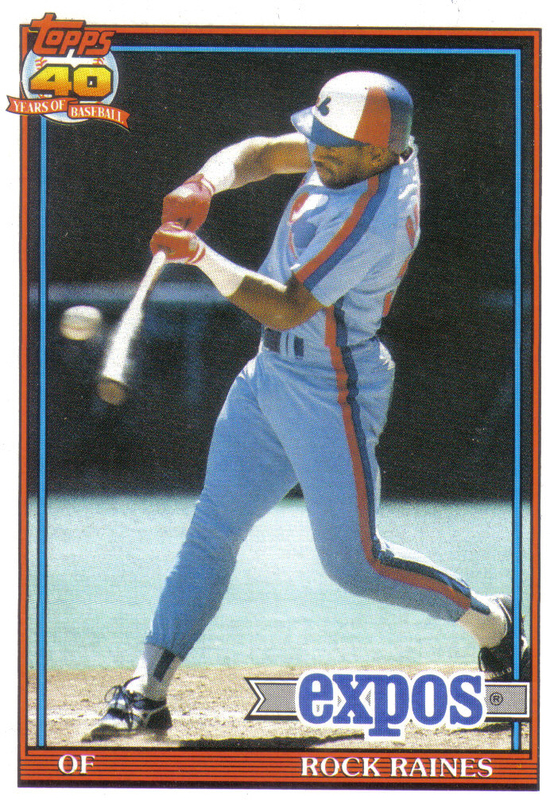 "Crime Dog" ended his career with 493 home runs and saw a natural decline and occasional rebound in his home run totals over the remainder of his career. By contrast, his peers Bonds, McGwire, and Palmeiro’s amount of at bats per home run decreased by almost half for the balance of their careers after the 1994 baseball strike. Bonds, McGwire, and Palmeiro rode their impressive seasons to 762, 583, and 569 career home runs, respectively. Five hundred home runs, once considered to be an almost unreachable goal, was now being surpassed almost yearly. “Myself personally, I would laugh when I’d see these guys hit these long home runs. I mean, basically, we all came up at the same time and had about the same power. In the following years, many of McGriff’s contemporaries’ names and their home run totals would be called into question as one after another saw their PED use come to light. McGwire and Palmeiro would both be called before Congress in March 2005 during the investigation of steroids in baseball. “Big Mac’s” defensive and evasive testimony forever tarnished his image and the ensuing fallout may have ultimately led McGwire to finally admit in 2010 that he had indeed used steroids during his career. Palmeiro, on the other hand, went on the offensive during the congressional investigation and steadfastly denied ever using steroids only to test positive for the steroid stanozolol later that year. In addition, if we are to believe what Jose Canseco and others have said, McGwire and Palmeiro’s PED usage had its origins early in their careers and the greater part of their 500-plus home runs are suspect. Sadly, overshadowed by others’ unreal home run totals, Bonds is alleged to have joined them in PED use to bolster his already impressive home run totals. Conversely, McGriff seems to have taken the high road, which has saved him from embarrassment and dishonor only to once again be overshadowed by his peers, this time on the Hall of Fame ballot. While it appears the Hall of Fame voters are punishing McGwire, Palmeiro, and others for their PED use during the “Steroid Era”, this hasn’t resulted in increased votes for McGriff. Many voters are quick to commend McGriff as one of the few clean sluggers during the “Steroid Era” yet write off his candidacy and say his statistics don’t quite measure up in the era he played in. Undoubtedly, “Crime Dog” did play most of his career in a “hitter’s era”, but in the five years before the 1993 expansion draft that ushered in the dawn of the “hitter’s era”, no one in baseball hit more home runs than McGriff who in addition to his power was also one of baseball’s best all around players. Though McGriff may have benefited from playing in the post-expansion hitter’s era, he also had to face his share of PED using starting pitchers, middle relievers, set up men, and closers so it’s unlikely he gained a very large number of home runs just by playing in this era. While McGriff didn’t have the automatic Hall of Fame totals like 500 home runs or 3,000 hits, he was hardly a one-dimensional power hitter. In addition to his 493 career homers, he finished with a .284 BA, .377 OBP, 2,490 hits, 1,550 RBIs, and 134 adjusted OPS. McGriff was also a very consistent player who hit at least 19 home runs a year from 1987 to 2002, including 30 or more ten times during that stretch. While not quite Gold Glove caliber in the field, McGriff was the definition of durability, appearing in 2239 games at first base, third all time behind Hall of Famers Eddie Murray and Jake Beckley, thus preventing his team from having to use a replacement-level bench player in his place. In addition, “Crime Dog” made five All Star appearances and was the driving force that led the Braves past the Giants to the 1993 NL West Division title after his trade from the Padres just before the deadline. 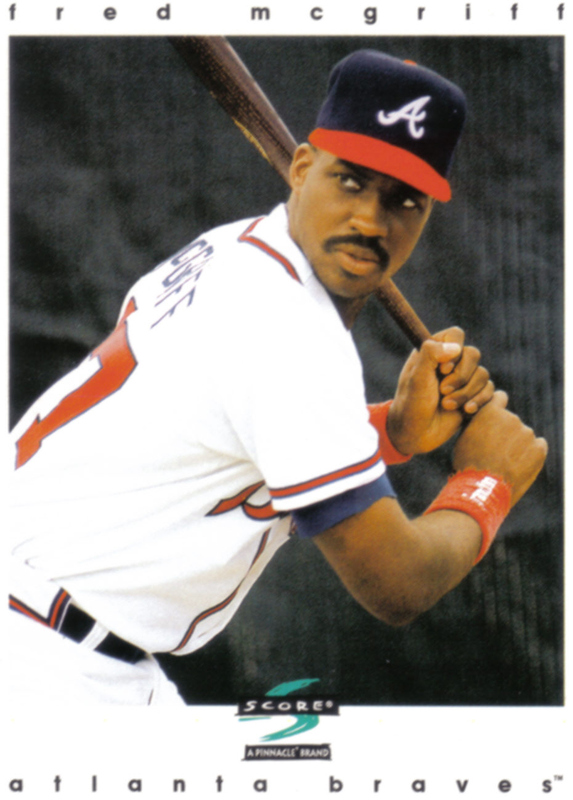 Unfortunately, McGriff’s impact on the Braves 1993 Division title win is largely understated since it was the third of fourteen straight for the franchise but he was still their starting first baseman and clean-up hitter two years later when they won their long overdue Championship and was one of the few Atlanta players whose post-season numbers were actually better than his regular season totals (.323 BA, .411 OBP, .992 OPS with 10 HRs and 34 RBIs in 45 games). Foreign substances and cheating have been around throughout the history of baseball but the PEDs of the “Steroid Era” made a mockery of baseball statistics and home run totals like no other substance, whether it be “greenies”, cocaine, or a corked bat. It is unlikely that many of the suspected and proven PED users of the “Steroid Era” would have perennially hit 40 home runs or came anywhere near surpassing 500 home runs without the assistance of steroids and other PEDs. McGriff’s PED using contemporaries and their unnatural home run totals minimized his statistics and caused his achievements to be overlooked. 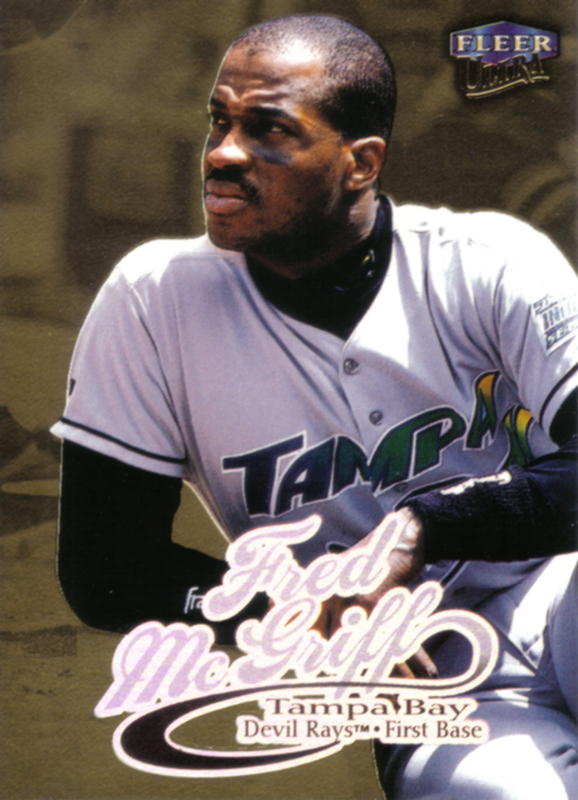 While the BBWAA may not be admitting a proven PED user in the Hall of Fame anytime soon, it would be nice to see them take a second look at Fred McGriff’s career. Almost every player who is deemed worthy enough to be voted into the Hall of Fame has a dominant career peak and for McGriff it’s unfortunate that his career peak of 1988-1994 was overshadowed by the dawn of the “Steroid Era” and its exaggerated home run totals. “Crime Dog’s” career path seems to be one less traveled and hopefully taking the high road will one day lead to his induction in the Baseball Hall of Fame. PED use was becoming more prevalent at the start of the 1990s but at the time 1993 and 1994 were considered “hitters years” (similar to 1987) and expansion, in addition to the emergence of smaller ballparks, had also helped bring home run totals up. In the early 2000s the home run totals get even more ridiculous with most of the leaders eventually being exposed as PED users and joined by many “suspected PED users” with interesting statistical anomalies in their careers.